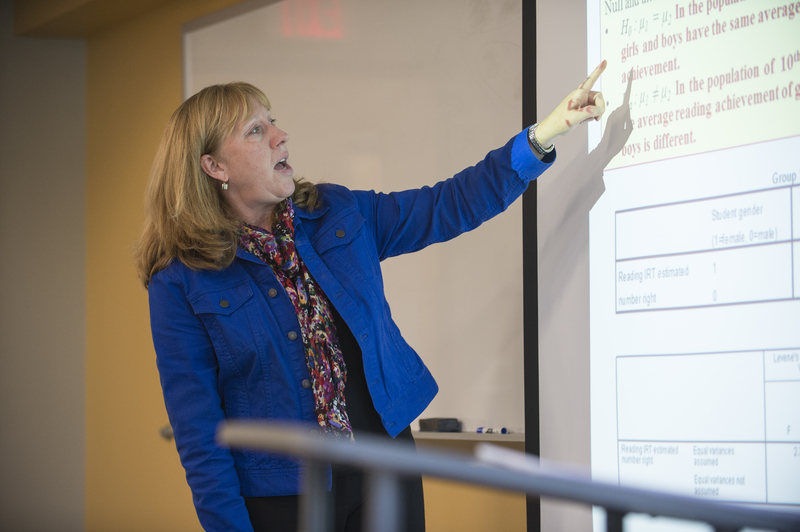 Program Delivery & Location: Academic courses are offered in the evenings in person on the UNH Manchester campus and online, with additional elective courses offered in person on the UNH Durham campus. These provide students with a strong foundation in theory and the applied skills necessary to foster democratic involvement, accountability and administrative competency in the provision and delivery of public services in towns, cities, state agencies, and a wide range of nonprofit and non-governmental organizations. Further opportunities for depth and specialization are provided through a wide range of elective courses which vary by semester. The Capstone project is the culmination of the student's graduate work, applying academic knowledge with practical experience. Students with public or nonprofit sector professional experience can enroll in PA 908A (3 credits) and those without this experience can enroll in 908B (6 credits). One or two of the required elective courses may be waived for students who have successfully completed specific training programs as identified on the MPA website. Electives are available in many substantive areas. Topics and courses are added on a continuing basis. In addition, independent studies with leading experts can be arranged to match specialized student interests. Students may propose additional electives if those electives make sense in terms of the student’s interests and academic plan. Discussion with an academic advisor should inform this choice. There are several paths students may take to complete a Carsey Master of Public Administration degree. Most MPA students work full time and take classes on a part-time schedule, completing the degree, on average, in about two to three years. We encourage students to move at a pace that is comfortable for them and to work with their academic advisor to map out a course plan. Please see below for several example schedule options. These are illustrative, and other flexible options are possible. The MPA program offers credit waivers for students who have successfully completed specific trainings hosted by Roger Williams University Justice System Training & Research Institute, UNH Cooperative Extension, U.S. Fire Administration National Fire Academy, and the State of New Hampshire Bureau of Education and Training. The Carsey School is proud to partner with like-minded organizations with similar missions and visions to offer education awards to individuals who have served their communities, allowing them to further their education and expand their impact, both domestically and overseas. APPLICATION FEE & GRE ARE NOT REQUIRED FOR UNH UNDERGRADUATE STUDENTS APPLYING FOR ACCELERATED MASTER’S ADMISSION! 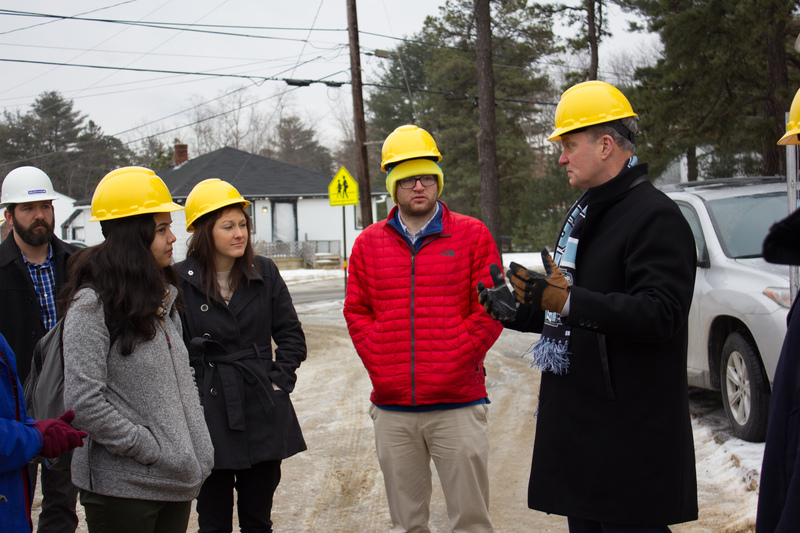 For current University of New Hampshire undergraduates, there is an exciting opportunity to accelerate the MPA program. Students can take up to 4 courses during their senior year and double count these credits for both undergraduate and graduate education. Students will then follow the standard MPA curriculum beginning the semester following completion of their undergraduate degrees. This enables students to complete their MPA degree with just one additional year of studies. For details, visit the Accelerated Master’s Programs webpage. When can I start the program and what are the application deadlines? International students are strongly encouraged to apply as early as possible to ensure visa’s and other necessary paperwork are obtained in a timely manner. Please contact Sanjeev Sharma, Admissions and Academic Advising, with any admissions questions. All applications are submitted online through the University of New Hampshire Graduate School. Instructions, link to the online application, and list of required documents can be found on the Graduate School’s Application site. If you are unable to apply online, contact Sanjeev.Sharma@unh.edu or 603-862-1871. Does the MPA program have prerequisites? Applicants with professional or academic experience in government, nonprofits, political science, or public administration are encouraged to apply. Applicants without such background are also welcome to apply but will be required to demonstrate ability to succeed in MPA graduate studies. Can I get an MPA on a part-time basis? Our MPA program is designed so the full-time working professional can take classes on a part-time basis. Classes are held in the early evenings, meet one evening per week, and are conveniently located at our Manchester campus. We offer several electives online and at our Durham campus as well. With classes offered year round, you can move through the program at a pace that is comfortable for you. The GRE is not required but can be submitted, if desired. Can I take a "test drive" before applying? Yes. At both campuses, students are welcome to sit in on a class or take a course prior to matriculating into the program, to see if the program fits their individual needs. Does this program offer any Scholarships? The Carsey School of Public Policy offers a limited number of needs-based partial tuition scholarships to students who have submitted their online application and been accepted into the program. In order to be considered for a Carsey School Scholarship, please complete and submit your Online Scholarship Application Form by April 20. Applicants will be notified if they qualify for an award within two to three weeks after submitting a completed application. We also encourage students who are awarded a scholarship to leverage their award by seeking additional funding opportunities from other sources. What happens to my Carsey Scholarship award if I need to defer? Carsey Scholarships based on financial need are considered and awarded to individuals for the program year of application. If an admitted student who has been awarded a Carsey Scholarship needs to defer his/her start date due to financial reasons, their scholarship application will also be deferred and given priority reconsideration for the new program start date. What alternative funding opportunities are available? We strongly encourage you to look into other outside scholarship opportunities. Domestic students are eligible for both private and federal loans. 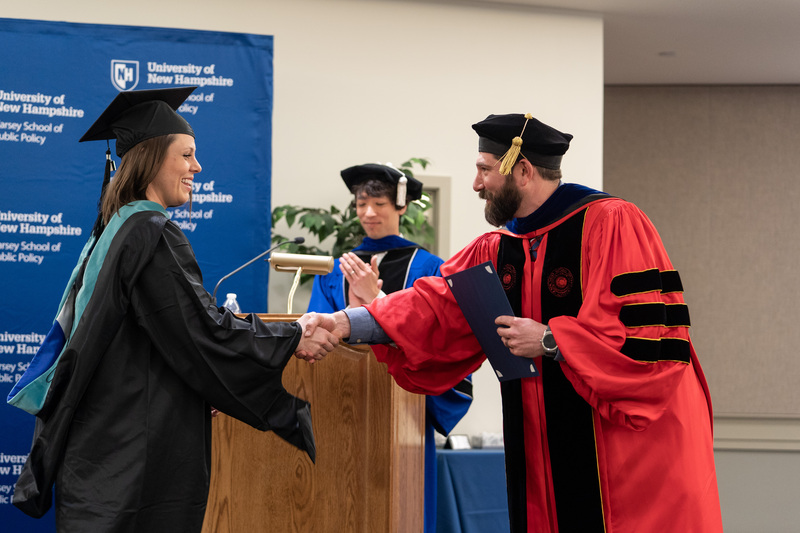 More detailed information can be found on the UNH Grad School’s Financial Aid webpage or at Tuition Management System. I’ve completed a professional training program for my job. Would it count towards credit in this program? The MPA program offers credit waivers for students who have successfully completed a number of notable training programs. For details, visit the Master of Public Administration Credit Waivers webpage. What kind of professional positions could I pursue with an MPA? Managerial positions in areas such as the government (federal, state, and local); non-profit and non-governmental organizations; research institutes; foundations; and professional and trade associations;.etc.